When many celebrities undergo a hair transplant procedure, the results are so obvious that even their denying it seems just silly. If a star goes from almost completely bald to a crowning head of hair, no one could deny the change. However, when a fairly reclusive celebrity like Johnny Depp does anything of any sort, it’s hard for the rest of the world to even have a clue what has changed. Depp has grown to fame from humble roots on a television show called 21 Jump Street and in a movie called What’s Eating Gilbert Grape? Since that time, he has become one of the most well-respected stars in Hollywood. His roles vary so much that the audience becomes enraptured with characters, not the actor. Known for films like the Pirates of the Caribbean series, Edward Scissorhands, Alice in Wonderland, Finding Neverland, and Blow, Depp has endeared himself in one way or another in almost every household throughout the country. Has He Had Hair Transplants? In recent months, die-hard fans of Johnny Depp seem to think that he has had hair transplants. Several different fans point to a slightly altered hair line. However, this is very hard to ascertain for many different reasons. For one thing, Depp just doesn’t talk about it. Many stars go out of their way to deny having anything done, making it more obvious that they probably did. This isn’t the case with Johnny. He just doesn’t talk about it one way or another. That’s not the only thing standing in the way of determining whether or not he had any hair transplant procedure. For one thing, the actor has a penchant for hats or other head coverings. Very rarely is he spotted without something on his head. Of course, no one can see his hairline in those cases. 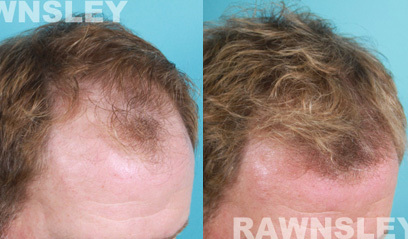 Additionally, the results are so subtle that if he did have hair transplants, they were done very well. Depp didn’t have a particularly obvious receding hairline. It doesn’t look like he had a case of male pattern baldness. If anything, he simply had thinning hair because of age. That means any transplants he had done just built up the raven locks he already has on the top of his head. Johnny Depp is known for being extremely reclusive. He doesn’t really talk about much of anything, especially anything in his private life. Not only does this create an air of mystery surrounding the well-known actor but also it makes many fans wonder when anything like hair transplants come up. It’s really hard to ascertain whether or not Depp did anything to shore up his hairline, he did so in such a secretive manner that we may never know. Hair transplants are often very useful in building up self-confidence and even boosting actor’s careers. Male pattern baldness and receding hairlines are extremely common for any man, including those who act in Hollywood. It’s no wonder, then, that so many stars choose to have transplants at one point or another, whether they talk about it or not. Matthew McConaughey: He’s Attractive, He’s Shirtless, Did He Have Hair Transplants?